A migrant preparing to travel by boat. Fifteen migrants have died in a boat off the Libyan coast after spending 12 days at sea without food or water, an Egyptian survivor said on Tuesday. 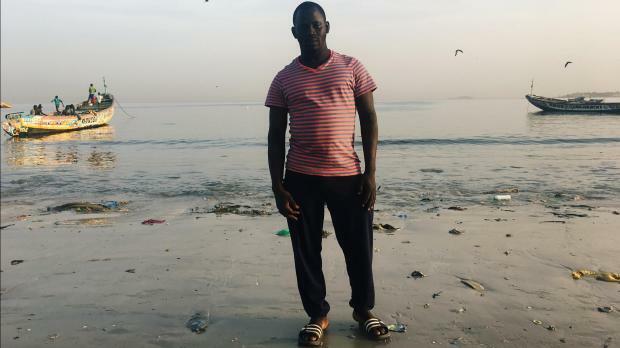 "We were 25 migrants on a boat ... We set off from (the western Libyan town of) Sabratah and we were at sea for 12 days without food and water," the survivor said. "Fifteen have died."